Available ASSEMBLED and in DIY-kit. Print quality ranging from 50 micron up to 250 micron. Modular design, enabling users to install upgrades. Print with different colours or materials in one single print. Print with any kind of 1.75mm filament you like. Benefit from professional customer service and an active user community. Use the software specially designed for FELIX to operate your felix with full control. Large build volume of 255 x 205 x 225 mm. Stand alone printing with a micro SD card. Upgrade to newer versions yourself or let us do it for you! Print anything in 3D with amazing details. Watch and see detailed prints being created on the large 255x205x225mm print bed. Due to the use of industrial components the FELIX 3.1 is a solid, stable and accurate machine. The solid structure and the high quality components enable the FELIX 3.1 to print objects in high quality (0.05mm) with perfect accuracy. Due to the fast development of 3D printers, today’s technology will be outdated tomorrow. For that reason FELIX 3D printers are based on a modular design, making it possible to easily replace specific parts of the 3D printer. Official FELIXprinter upgrades are released regularly so our users can benefit from the latest technology. The FELIX 3.1 is available as a Single and as a Dual. The Dual comes with two hot-ends, making it possible to print with two different materials and in different colors. Printing with a Dual is especially interesting for creating colorful prints or to print objects with water-soluble support material. A FELIXprinter is capable of working with many kinds of filament. The print settings of the FELIX 3.1 can be fully adjusted to meet the requirements of the used filament. A large selection of high quality filaments is available in the FELIXprinters webshop. 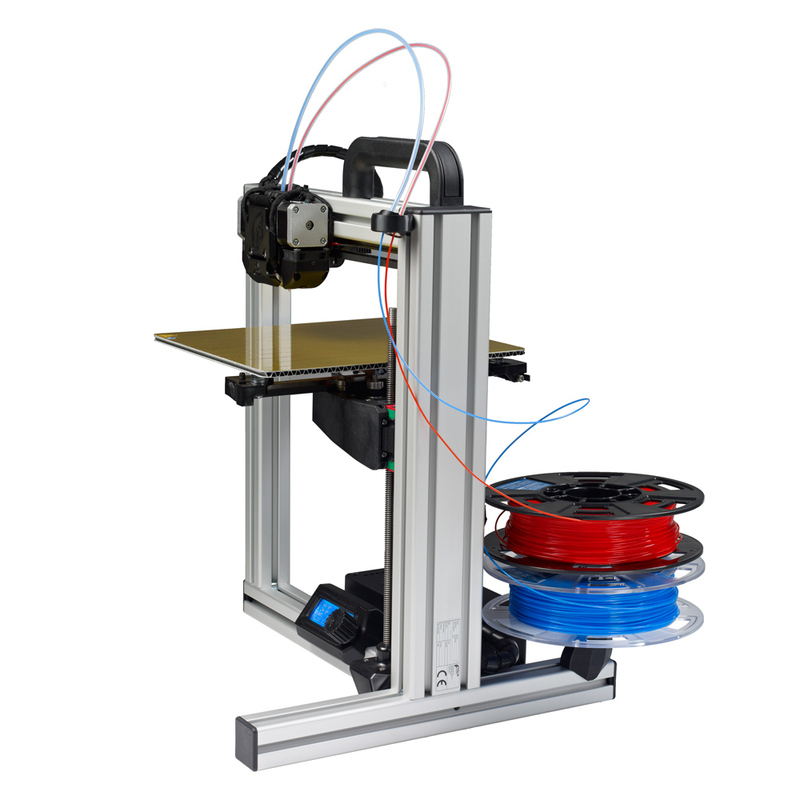 Available filaments include: PLA, ABS, PETG, FLEX, Wood, Glass and PVA (Water-soluble). At FELIXprinters, we understand a good product is more than a good working machine. Therefore professionally trained staff is always available for any kind of technical or customer support. A highly detailed FAQ is available and also the active FELIX community is willing to answer all your questions about the FELIX or 3D printing! This printer is a stable printer. It prints with awesome dual heads. There is limitless creativity with the Felix 3.1. I had purchased Felix v2 and that made me purchase this one.. The print quality is great and it gives multiple choices for selecting filaments. You can be assured that this is a real good quality printer. This is a one-of- a-kind printer. It is a high-quality printer although the price is a bit on the higher end. The best part about the Felix 3.1 is that the it is extremely stable. I was not willing to buy it at first. I am not a fan of Felix, my choice is a regular Geeetech or Wanhao. But the recent experience made me a bit experimental. That is why I decided to go for this one. The highlights are the stability and build volume. 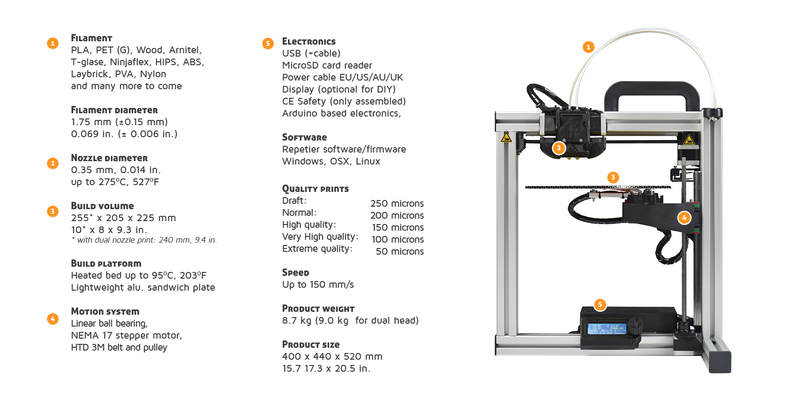 Felix 3.1 3D Printer- DIY Kit Andre B. Buy the Felix 3.1 with a grounded approach. Don’t expect too many highs from it as you get with the Felix v2, it has very few up points to score. This one is pretty interesting in terms of stability and build volume. But that is not a great reward considering the price. For such a price, you expect more features like auto-calibration and auto-levelling. However, this one does not offer any such features. Three things about the 3.1 dual: 1.: I love it 2.: I admire it 3.: I became a big fan of it. After a wobbly Prusa and bloody fingers from assembling a Rostock Delta, this Felix printer is another league. Nicely packaged, good manuals and perfect print results. This should become the printer of the year 2015/16!